The transition from voice to UC was the first show. The next show is UC to WCC. Workstream Communications and Collaboration is a new form of communication that starts with group messaging and blends in real-time and other asynchronous communications. While some insist WCC is merely a twist on UC, I believe these applications are much more than that. At best they could be considered an evolution from UC, but there are many reasons to suggest they represent a whole new category – and there will be a new set of losers and winners (some of which you haven’t heard of yet). Most UC solutions evolved from voice, and although most now support IM/presence, too, that capability is typically limited to internal participants. 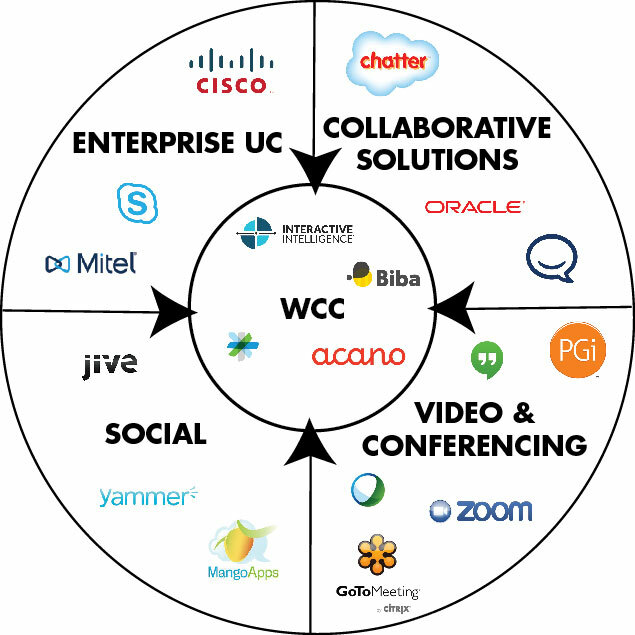 WCC solutions, on the other hand, center on messaging that’s similar to SMS or persistent group chats. Messaging applications such as WhatsApp and WeChat represent six of the 10 most-used apps globally. They are simple, inexpensive, and reliable. More importantly, they are better adapted for an always-connected world than are UC solutions. Messaging is now considered more effective and more polite than voice and more responsive than email. 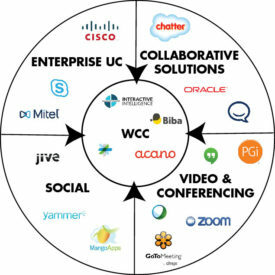 WCC solutions combine asynchronous messaging, real-time (voice and video) communications, content, and context all within one tool. Too often, communications technologies sit on the periphery of where the work gets done. For knowledge workers, that’s usually email or line-of-business applications. Email has been a critical application in the enterprise for decades. Email is our to-do list and our filing system. It is where we ask and answer questions and how we share content. UC is important, like copiers and printers, but not mission critical (many exceptions exist including contact centers). The power of these solutions lies in combining communications and collaboration with job workflow. While email has been an important tool for decades, frustration with it is increasing. You can download a free paper here written by myself and Zeus Kerravala. There’s a fine line between a productivity tool and a burden, and email has crossed it for many. One of the most consistently cited benefits of these new systems is a reduction in email messages. Email isn’t going away, but the flow of work is moving out of it. That’s because these new solutions are far better at organization, and bind conversations and content in one place — effectively delivering on the UC promise of contextual communications. UC, messaging, and content in one place becomes a place where work gets done. There is no need to scatter conversations (and conversation history) across multiple apps. There’s no reason to use different tools for one-to-one and group interactions. There’s no reason to switch to different apps based on location or device. There’s no reason to switch tools for internal and external use cases. These new solutions enable current interactions, archive past conversations, and facilitate ongoing collaboration. In some cases, WCC also facilitates work getting done quicker through shared task management and tracking. At the same time, it reduces email traffic and the associated time in processing it. Some customers report the drop as high as 50%.